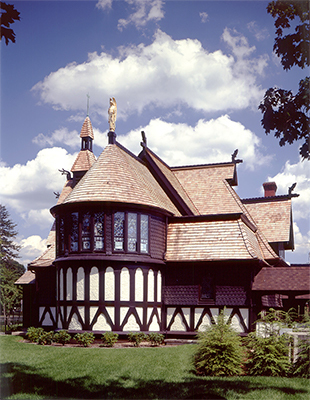 St. Mark’s “Norwegian Stave” style is absolutely remarkable, constructed and decorated largely of wood, with a roof built like an upside-down ship. 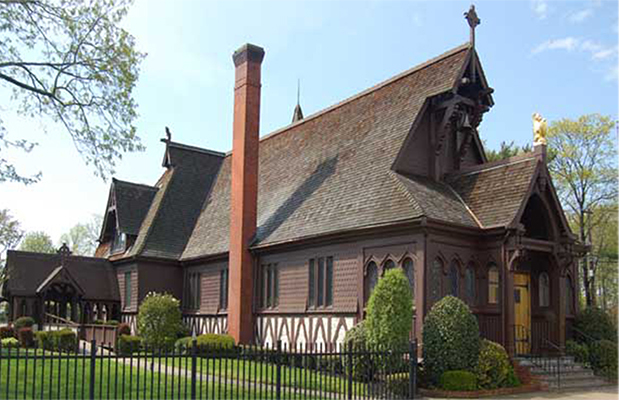 Although medieval and northern European in inspiration, St. Mark’s is the 1880 design of a mature Richard Morris Hunt, one of America’s great 19th-Century architects, for a well-heeled south-shore Long Island congregation that included principal donor William K. Vanderbilt. Its warmth, scale, character, and uniqueness were the pride of the congregation. Early on December 5, 1989, arson all but destroyed the structure, including its Tiffany-glass windows. Rather than rebuild immediately, the congregation spent six months deciding what it wanted to rebuild – recognizing that there had been considerable ad hoc physical changes, not to mention liturgical and congregational changes, over time. They also wanted to incorporate advances in building technology for comfort, illumination, and safety. 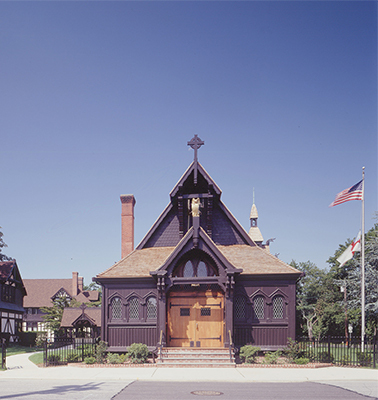 Helpern Architects was a strong choice, in part because of its much-admired work to restore General Theological Seminary in New York City from its deteriorated condition. Working with a very determined rector, the Reverend Jerome Nedekla, the firm basically recreated St. Mark’s. Part of the work was to improve its chancel and altar layouts, acoustics, lighting, and HVAC systems, especially fire protection. The active musical ministry received a new pipe organ, while the area under the sanctuary was enlarged to serve as a community room. 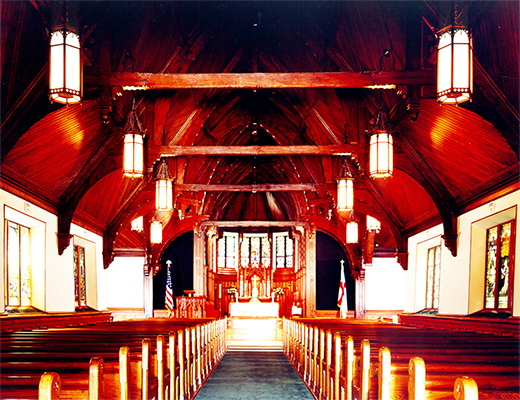 Helpern Architects also helped St. Mark’s with its insurance assessment, doubling the proposed compensation.